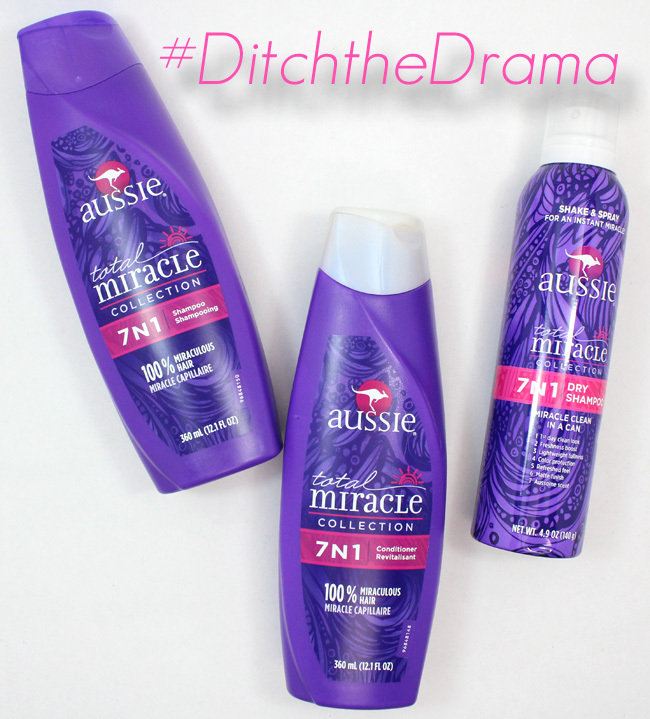 Ditch the Drama with Aussie Total Miracle 7N1 Collection. I am obsessed with my hair. It does not come without drama. I mean, how many times have you been late for something because of your hair? Seriously, I spend way too much time on my hair and it has me running late all.the.time. 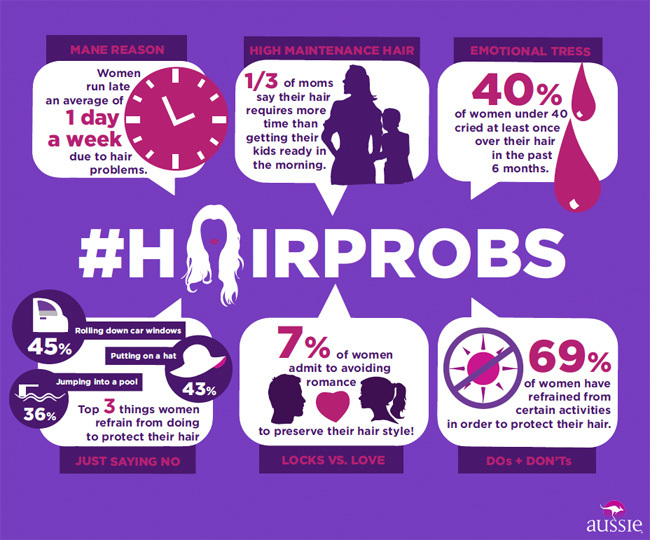 A new survey reveals that 7 out of 10 women are missing out on life due to hair problems. Now that is a real problem. Aussie wants to #DitchtheDrama and I agree it is time! The brand behind my favorite 3 Minute Miracle just launched a new Total Miracle 7N1 Collection and a new video. The Total Miracle 7N1 Collection includes a shampoo, conditioner and the brand's first ever dry shampoo - yay! The products provide 7 benefits to replenish, revitalize and reinvent your hair. The formula is designed to moisturize, soften, strengthen, detangle, silken, protect and control your tresses. Using them together will help your hair become overall more manageable, thus helping you cut down on style time; ditching the drama. Take a look at this new video from Graydon Sheppard, "Sh*t Girls Say About Hair" and be inspired to spend a little less time and energy on your hair and get on with your life! 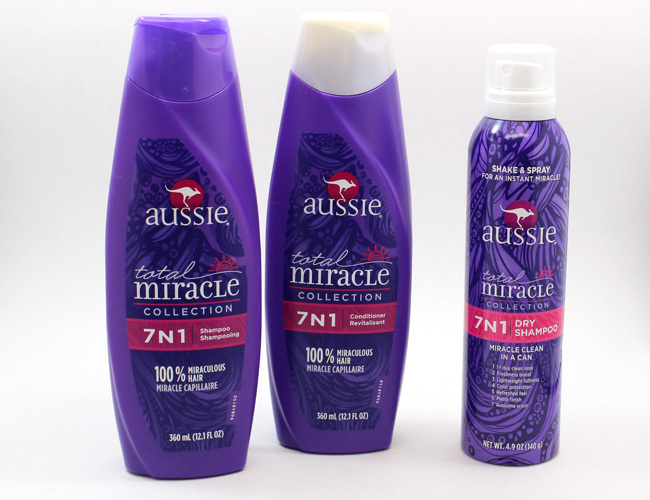 The Aussie Total Miracle 7N1 Collection is available at your favorite drugstore or mass retailer now.